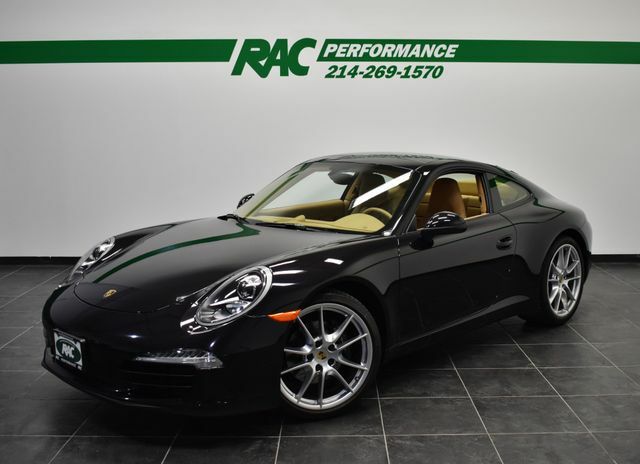 CLEAN CARFAX, PORSCHE DOPPELKUPPLUNG (PDK), SPORT CHRONO PACKAGE, 20-INCH CARRERA S WHEEL, NEW REAR TIRES, CLEAR BRA, BOOKS + 2 KEYS, POWER SPORT SEATS (14-WAY), BOSE AUDIO PACKAGE, PREMIUM PACKAGE, SEAT VENTILATION (FRONT), POWER STEERING PLUS, NAVIGATION MODULE, ELECTRIC SUNROOF, ELECTRIC FOLDING EXTERIOR MIRRORS, MULTI-FUNCTION STEERING WHEEL, REAR WINDSHIELD WIPER, WHEEL CENTER CAPS WITH COLORED PORSCHE CREST, LUXOR BEIGE STANDARD INTERIOR, PORSCHE CREST ON HEADRESTS, BASALT BLACK METALLIC!!! This car has been inspected by our certified technicians and is ready to drive home. Upgrades are available at RAC Performance. TUNES, EXHAUST, WHEELS, TIRES and MORE!